The family of a man from Ohio whose murder was recorded and posted on Facebook is suing the social networking site for negligence and wrongful death. 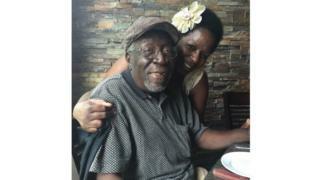 Robert Godwin, 74, was shot dead apparently at random as he walked home from Easter lunch last April. Steve Stephens, who later shot himself dead, posted a video of the killing that drew millions of Facebook views. It led the website to launch a review of its procedures following criticism that it stayed on the site for hours. "We want people to feel safe using Facebook, which is why we have policies in place prohibiting direct threats, attacks, serious threats of harm to public and personal safety and other criminal activity," said Natalie Naugle, Facebook associate general counsel. "We sympathise with the victim's family, who suffered such a tragic and senseless loss," she said in a statement. Mr Godwin's family say the lawsuit, which was filed at Cuyahoga County Court in Cleveland, is intended to hold Facebook accountable for the murder, citing its failure to issue warnings in the run-up to the killing. "This lawsuit seeks to hold the Facebook defendants responsible... including their failure to take any action in response to a known and credible threat of violence," it says. The family are seeking damages, and say the website failed to act on the suspect's "intimidating and coercive threats of violence". In other Facebook videos Stephens posted on the day of Mr Godwin's killing, he said he had "just snapped", blaming gambling debts and a broken-down relationship among other things. In another video post he said that he had killed 13 people and would kill more. 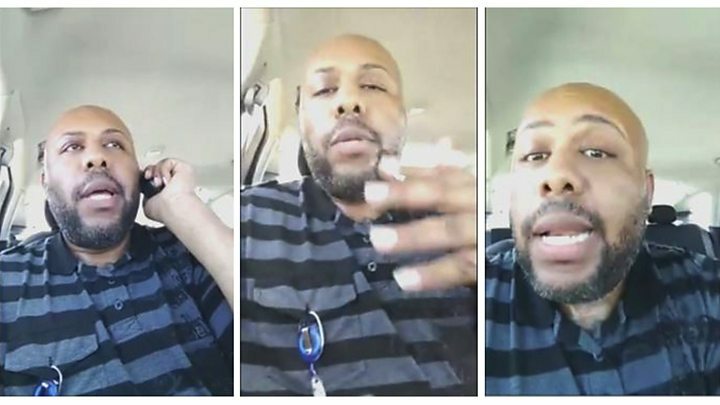 Media caption"Facebook killer" manhunt - what happened? At the time of the killing, a Facebook spokeswoman said: "This is a horrific crime and we do not allow this kind of content on Facebook." Justin Osofsky, Facebook's vice-president of global operations, said the first complaint made about the video showing the killing came nearly two hours after it was posted. Stephens was tracked down by police after he was spotted by employees at a drive-thru McDonald's in Pennsylvania, who stalled his order and rang 911. State police gave chase but he shot and killed himself "as the vehicle was spinning out of control", police said. 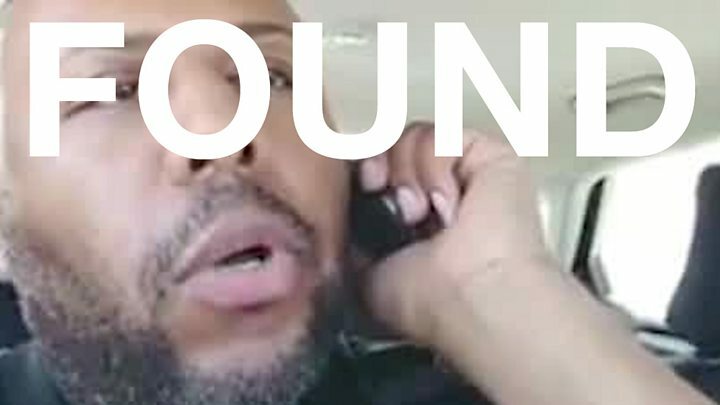 Video The manhunt - what happened?